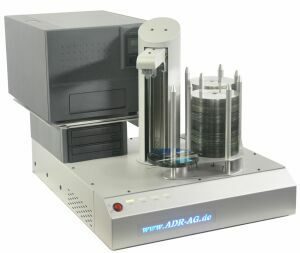 The ADR autoloader for CD/DVD/Blu-ray autoprinters are simply the best solution for high-volume on-demand CD/DVD/Blu-ray print runs thanks to its 375 / 250 disc bin (upgradable to up to 600 discs). With the market leading 5 year warranty on its robotics you can be confident of many years of reliable production. A Completely unattended autoprint robitcs system. Just chose your printer model, add the artwork file to be printed to the software and carry on with your other tasks returning to remove the finished project. The autoloader can be upgraded to a full CD/DVD/Blu-ray publishing system when your budget allows, giving you a a great entry level product with a solid upgrade path. 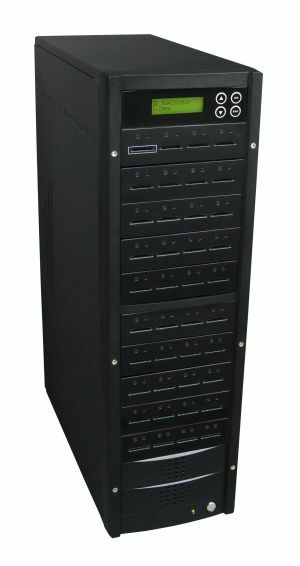 375 / 250 disc input capacity (upgradable to 600 discs). Market leading 5 year warranty on the robotics. Fully upgradable to up to 10 burners!! !